Every once in a while, the music industry collectively comes together, with many of the biggest names in the game joining forces to fight something that's hurting everybody. It doesn't happen too often, but sometimes when it does, it is a powerful moment, and it can be very effective. Right now, an enormous group of musicians have banded together to both educate the public and attempt to alter a law that many outside of the industry have never heard of from a company that everyone else seems to love: DMCA and YouTube, respectively. So what’s going on, and why are people so upset? Many would say that YouTube is a good thing, as it allows artists to promote their work and even make some money from advertising revenue. That may be the case, but it doesn’t mean that all is fair. In fact, many in the music industry would argue that very little is “fair,” and that things need to change immediately. Here it is in a nutshell, which is the only way to really understand intricate legal proceedings such as this. Almost the entire music industry is looking to change the parameters of the DMCA, which stands for Digital Millennium Copyright Act. It’s a piece of legislation that was passed back in 1998 that essentially gives websites like YouTube some leeway when it comes to copyright infringement, which was running rampant at the time... not that it’s gotten a whole lot better since. 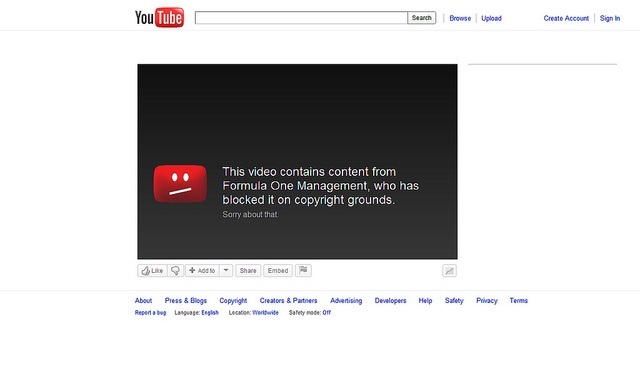 Every day, tons of copyrighted material is uploaded to YouTube. We all know this, because we’ve seen and heard it. This content can be anything from movie clips to episodes of a TV show to music, which can many times be shared in the form of fan-made lyric videos and such. There is a ton of music that is legally on YouTube, but there's so much more that isn’t supposed to be there. As it stands now, YouTube only has to warn people not to upload content that they don’t own (which is promptly ignored by millions) and help when uncleared copyrighted material is found on the site. The law stipulates that it isn’t up to YouTube to block content that isn’t properly cleared from being uploaded in the first place, but rather that those who own the copyrights must be the ones responsible for finding that material, notifying YouTube, and then if further legal action is to be taken, it’s up to them once again. It isn’t difficult to guess that the sheer amount of content being uploaded to YouTube every day makes it impossible for record labels and artists themselves to stay on top of all their music to ensure that it's only being posted with their consent. As a result, if you search for a popular Taylor Swift song, there could be hundreds of entries, including covers, mashups, remixes, as well as who knows how many copies of the radio-ready song itself, all with different images, and all of them racking up views day after day. All of these take away from people viewing the proper clip, and that takes money out of the pockets of artists. That might not be a huge issue for the Taylor Swifts of the world, but for everyone else, it is. Also, this isn’t just hurting the pop stars and rock legends, but it’s also siphoning money from their labels and all those who work for them – and the industry could really use that money. Recently, world-famous acts like Taylor Swift, U2, Lady Gaga, Paul McCartney, Elton John, Jack White, Pink, Maroon 5, Mark Ronson, Gwen Stefani, Sting, Beck, Ne-Yo, Trent Reznor, and over 100 others have all lent their powerful names to an open letter (which you can read here, along with a full list of the original signees) that was sent to Congress that calls for immediate and swift changes to be made. Many of these artists were also part of a movement that happened earlier this year when a similar request was sent to the US Copyright Office. This issue has been around for years, but now that so many beloved artists have taken a stand and made their voices heard, more people in Washington seem to be paying attention. A similar movement is happening in Europe, where revisions to so-called “safe harbor” laws (which similarly protect YouTube) could be coming soon. There's no telling how long it will take for the government to act on this problem, and we all know how slow things move through Congress, but at least now people seem to know what’s going on. Hopefully, you now have a better idea of one of the more serious legal matters facing the business, and what's being done to stop it.